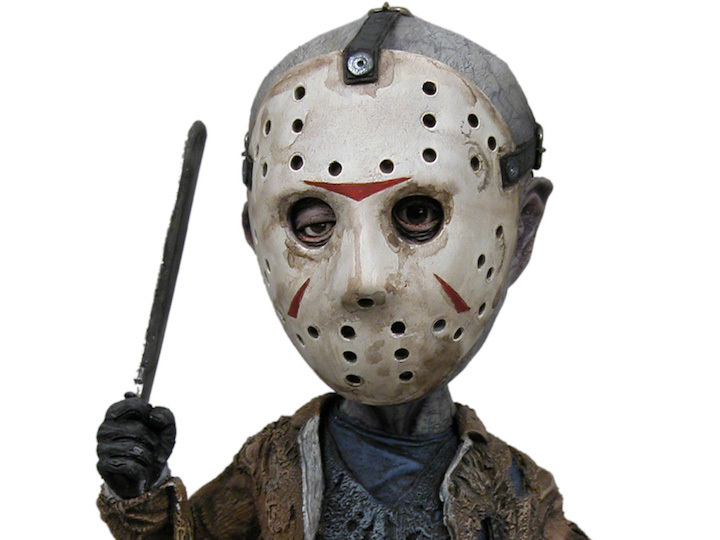 This addition to the popular Head Knocker brand brings you Jason from Friday the 13th! Somehow even this horror great doesn't look so terrifying in bobblehead form. The hockey-masked man is cast in resin and then hand painted for incredible detail. Over 7" tall with bobbling head - a fun item for fans young and old! Comes in collectible matte finish packaging with spot gloss.